Nature conservation has become increasingly important in Britain over the last three decades. 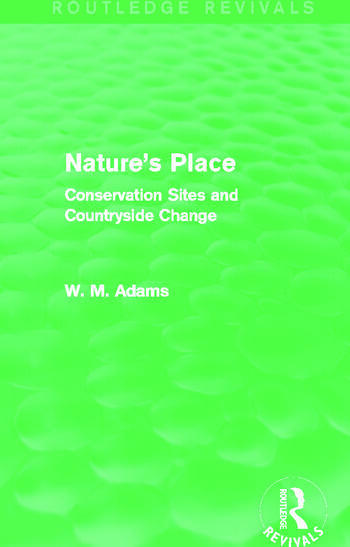 This title, first published in 1986, deals with the critical issues surrounding nature conservation and wildlife protection. The book is broad in scope, with a focus on the 1981 Wildlife and Countryside Act and its provisions for the protection of wildlife habitats in Sites of Special Scientific Interest (SSSIs). This follows an historical account of habitat loss over the past 200 years and the origins of conservation and site-protection policy. This reissue will be of particular value to professionals, voluntary workers and students with an interest in the origins, developments and practice of nature conservation.